Posted by Dr. Jack Sacks on May 24, 2018. In addition to the above mentioned causes of brain injury, many other errors involving patient treatment and care may give rise to a lawsuit. One of the most common causes occurs when a hospital patient or nursing home patient falls (due to inadequate protective measures) and the patient suffers a traumatic brain injury. In fact, falls are the leading cause of traumatic brain injury in our country surpassing even motor vehicle accidents. For a detailed guide to the incidence, prevalence, and epidemiology of brain injury, seeEssential Brain Injury Guide prepared under the auspices of the Brain Injury Association of America. Heart defects in newborns affect approximately 8 out of every 1000 births. Causes can include genetic factors, such as those found in Down’s syndrome, or factors due to the developing baby’s environment. Certain medications, such as Paxil (Paroxetine), Zoloft (Sertraline), Wellbutrin (Bupropion), or Prozac (Fluoxetine) may be associated with cardiac birth defects in the babies of mothers who took these medications when pregnant. While some heart defects may only slightly affect a child’s quality of life, others can be very serious and may require surgical correction. Although causes of many heart defects are not known, improvements in prenatal diagnosis has led to better management and outcomes for those babies affected by these conditions. The most common way to diagnose a cardiac defect prenatally is by sonogram. 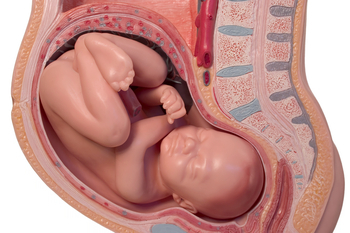 Many obstetricians order a screening sonogram for their patients during the 16th to 20th week of pregnancy. Part of the standard practice for the sonographer is to identify the four chambers of the baby’s developing heart. If the four chambers are not seen, or appear abnormal, a more specialized test, called a fetal echocardiogram may be ordered. This test involves a more detailed sonogram examination of the developing baby’s heart. Abnormalities can be further evaluated by this test method. Ventricular Septal Defect (VSD)- refers to a hole between the ventricles, the two lower chambersof the heart. The mixing of the oxygenated and deoxygenated blood through the defect can cause symptoms. Sometimes, a small VSD may close up on its own; sometimes surgery is required. Atrial Septal Defect (ASD)- involves a hole in the wall separating the atria, the upper chambers of the heart. Pulmonary Stenosis-occurs when the pulmonary artery that leads from the right ventricle to the lungs is narrowed. This can obstruct this crucial bloodflow out of the heart and can cause the right ventricle to become over developed and enlarged in trying to overcome the obstructive narrowing. If proper prenatal testing was not done, or if testing was not read or interpreted properly, medical malpractice may have occurred. Allegations of medical malpractice may include a negligent delay in diagnosis and/or inadequate surgical treatment and care of the newborn’s heart defect. Lawsuits may also result if a baby was injured by medications used by the mother. Cardiac defects can cause serious health problems in the child and may also involve major surgery for correction. In addition, complications can occur due to the defect, especially if undiagnosed. It is very important that women at risk for having a baby with a heart defect have appropriate screening tests done. Risk factors for congenital heart defects may include prenatal exposure to the medications listed above. Also, factors such as a sibling or family history of congenital heart defects may warrant increased surveillance and testing during the pregnancy. Pericardial effusion occurs when there is an abnormal amount of fluid around the heart. The heart is normally surrounded by a thin membranous sac called the pericardium. The space between the pericardium and the muscle that is the heart is referred to as the perciardial space. 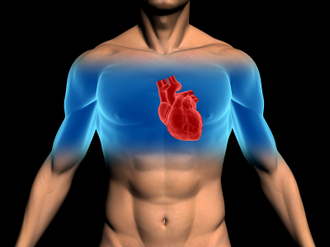 Normal levels of pericardial fluid within the pericardial space are from 15 to 50 mL, or about 1-3 tablespoons. An effusion, therefore, represents an abnormal accumulation of fluid in the pericardial space. Because of the limited amount of space in the pericardial cavity, fluid accumulation will lead to increased intrapericardial pressure and this can negatively affect heart function. Cardiac tamponade occurrs when there is a large enough pericardial effusion causing enough pressure to adversely affect heart function. This is an emergent life threatening condition. Unfortunately, pericardial effusion and cardiac tamponade may result from improper placement of a central venous catheter during a medical procedure involving an infant. This may arise when there is an inadvertent perforation into the pericardial space by the CVC and fluids are artificially infused into the space thereby causing the tamponade. Upon recognition of this situation, emergent removal of this fluid via a needle inserted through the chest wall and into the pericardial space (pericardiocentesis) can improve the infant’s chance of survival. It is suggested that routine radiography be performed to readily identify the CVC tip in all cases when these lines are placed into babies. Increased awareness of this complication may decrease the mortality associated with CVC related pericardial effusions. Treatment depends on the underlying cause and the severity of the heart impairment. Pericardial effusion due to a viral infection sometimes goes away within a few weeks without treatment. Some pericardial effusions remain small and never need treatment. If the pericardial effusion is due to an autoimmune condition treatment with anti-inflammatory medications may help. If the effusion is compromising heart function and causing cardiac tamponade, it will need to be drained, most commonlyby a pericardiocentesis. In some cases, surgical drainage may be required by cutting through the pericardium creating what is referred to as a pericardial window. The small bowel is a long coiled hollow tube, called a tract, that is approximately twenty-five feet long. It includes the duodenum, jejunum and ileum. A small bowel obstruction, also known as a small intestinal obstruction, is a mechanical or functional (paralytic) blockage of the intestinal tract, which prevents the normal transit of digestive products. It can occur at any level throughout the jejunum and ileum, and is considered a medical emergency when it occurs. The condition is often treated conservatively for the first several days; however, the patient must be monitored very closely for signs of clinical deterioration that can become life threatening. Mechanical obstruction is due to a mechanical barrier, such as an adhesive band from prior surgery, which creates a road block to the bowel. On the other hand, functional obstruction is caused by an event that interferes with the nervous innervation of the bowel, such as electrolyte imbalances and metabolic disturbances. Functional bowel obstruction can be caused by a multitude of conditions whereas mechanical SBO is generally credited to a luminal, mural, or extra-mural mechanical barrier. A clinical syndrome exists called small intestinal pseudo-obstruction, which is characterized by manifestations of mechanical bowel obstruction in the absence of an obstructive lesion. 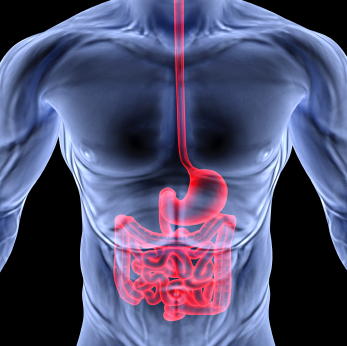 The symptoms of a mechanical small bowel obstruction include abdominal fullness and/or excessive gas, abdominal distention, pains and cramps in the stomach area (specifically the mid abdomen), vomiting, constipation (inability to pass gas or stool), diarrhea, and bad breath. Acute functional small bowel dilatation is referred to as adynamic or paralytic ileus. The symptoms of paralytic obstruction, in reference to the ileus, are abdominal fullness and/or excessive gas, abdominal distention, and vomiting after eating. The pain less closely resembles the colicky type seen in mechanical obstruction, but may be just as severe. The diagnosis is determined by listening to the abdomen with a stethoscope. High-pitched, tinny and clanking sounds can be heard at the onset of mechanical obstruction. If the blockage persists for too long or the bowel is significantly damaged, due to the stretching of the blood vessels supplying it thereby decreasing blood flow, bowel sounds will decrease and eventually become silent. The hallmark of paralytic ileus is decreased or absent bowel sounds, which can create confusion in relation to the issue of etiology if this occurs.Diagnostic tests that demonstrate obstruction include plain radiographic film of the abdomen (usually in the flat and upright position), CT scan, barium enema and upper GI series with small bowel follow through. Treatment depends on the cause of the obstruction. In some cases, drastic measures are necessary to save a person’s life, while in others a strategy of watchful waiting is more appropriate. In general, more serious cases that require immediate treatment can be identified based on a patient’s vital signs and physical exam. If the person is very sick and appears to be on the brink of a serious event, surgery may be required to ensure the patient’s life. To determine if there is any deterioration consistent with lack of blood flow, which leads to bowel ischemia, gangrene, perforation, septic shock, and death, it is imperative that the following steps be taken. The bowel must be decompressed with a long indwelling tube, all oral feeding must be stopped and IV therapy must be initiated with continuous monitoring and observation. Generally speaking, there is no reason anyone presenting to the emergency room with a small bowel obstruction should die in the hospital unless there are extenuating circumstances. Deep venous thrombosis is the development of a blood clot in the large, deep veins of the lower leg and thigh. Thrombi can cause tissue injury due to vascular occlusion or distal embolization. However, venous obstruction can be offset by collateral blood vessels. Thrombi can also cause local pain and edema due to the blockage of blood flow. 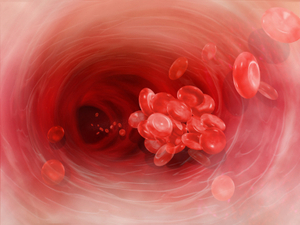 If the clot breaks off and travels through the blood, it is referred to as an embolism. An embolism can become trapped in the brain, lungs, or heart leading to major injury. Pulmonary embolus (PE) is a common complication and life threatening if not treated quickly with anticoagulants. PE presents with shortness of breath, chest pain, and cough with blood in sputum. DVT can occur with stasis or in hypercoaguable states. It is commonly seen following trauma, surgery, or burns, which contribute to decreased physical activity, damage to vessels, and release of procoagulant substances from tissues. Reduced physical activity causes a decline in the milking action of lower leg muscles and slows venous return. Risk factors for DVT include advanced age, bed rest, immobilization, smoking, birth control pills, family history of blood clots, fractures in the pelvis or legs, giving birth within the last 6 months, heart failure, and obesity. To prevent DVT, patients should move their legs during long flights or when they are immobile for long periods of time. Although many DVTs are asymptomatic, they can recur. Some individuals suffer from post-phlebitic syndrome, which involves chronic pain and swelling in the leg. The major symptoms of DVT include changes in a patient’s leg such as redness, increased temperature, pain, and tenderness. Diagnosis is based on the physical exam, which should demonstrate a red, swollen leg. Diagnostic tests include a D-dimer blood test along with other blood tests to check for hypercoagulability such as activated protein C resistance, anti-thrombin III levels, antiphospholipid antibodies, and genetic testing for mutations with a predisposition towards blood clots. Imaging studies of the legs include Doppler ultrasound, plethysmography, and radiography. The primary treatment for DVT is anti-coagulants, also known as blood thinners. They prevent the formation of new clots and the growth of old clots. However, they cannot dissolve existing clots. Patients are more likely to bleed on these medications. Heparin is an IV administered anticoagulant given in a hospital setting. Warfarin (Coumadin) is an oral anticoagulant that takes several days to work; thus, Heparin cannot be stopped until Warfarin is functioning at an effective dose for a minimum of two days. Many patients wear pressure stockings on their legs to improve blood flow and decrease their risk of DVT. When medications are ineffective, patients may need to undergo surgery. A filter can be placed in the body’s largest vein to prevent thrombi from migrating to the lungs. Also, surgery may be necessary to remove large thrombi. Meningitis is inflammation of the meninges, the membranes that cover the brain and spinal cord. It is commonly caused by infection, but other causes include chemical irritants, drug allergies, fungi, and tumors. Based on the clinical evolution of the illness and the type of inflammatory exudate present in the cerebral spinal fluid (CSF), infectious meningitis is categorized into acute pyogenic (usually bacterial), aseptic (usually viral), and chronic (usually tuberculosis, spirochetal, cryptococcal). Early diagnosis is essential for bacterial meningitis because it can result in death or brain damage if left untreated. In bacterial meningitis, a correlation exists between bacterial organism and age. The most likely organism in neonates may be Escherichia Coli or group B Streptococci. In the elderly, it may be Streptococcus Pneumonia or Listeria Monocytogenes. In young adults, it may be Neisseria Meningitides. In contrast, most viral infections are due to enteroviruses but only a small number of people who develop enteroviral infections present with meningitis. Other viral infections that can cause meningitis include mumps, herpes virus, measles, and influenza. Chronic meningitis can be caused by pathogens such as mycobacteria and spirochetes. Thus, medical attention is necessary to differentiate between bacterial, viral, and chronic meningitis. Risk factors include individuals over the age of 60 or below the age of 5, diabetes mellitus, renal or adrenal insufficiency, hypoparathyroidism, cystic fibrosis, immunosuppression, HIV, crowding (military recruits and college residents), recent exposure to those with meningitis, etc. The symptoms have a rapid onset and include fever, chills, mental status changes, nausea, vomiting, photophobia, severe headache, and meningismus (stiff neck). Additional symptoms include agitation, bulging fontanelles, decreased consciousness, tachypnea, poor feeding or irritability in children, and opisthotonos (unusual posture, with head and neck arched backwards). To confirm a diagnosis, a lumbar puncture (spinal tap) should generally be performed on anyone suspected of meningitis to sample and culture the CSF for abnormal cell counts, glucose, and protein. Other diagnostic tests include blood culture, chest x-ray, and MRI or CT scan of the head. The underlying cause of the meningitis needs to be determined to administer proper treatment and define the severity of each case. Unlike bacterial meningitis, viral meningitis usually does not involve treatment and patients generally recover within two weeks; however, in certain instances (such as with the herpes simplex virus) antiviral medications may be indicated. Antibiotic treatment for bacterial meningitis is dependent on the underlying bacterium. By treating the most common types, the risk of dying is reduced to below 15%. Symptoms such as brain swelling, shock, and seizures are treated with other medications and intravenous fluids. Possible complications of meningitis include brain damage, subdural effusion, hearing loss, hydrocephalus, and seizures. To prevent contraction of meningitis, the meningococcal vaccination is recommended for populations at risk. Oral cancer is the uncontrollable growth of cells that invade and inflict damage in areas involving the lips, tongue, cheek lining, floor of the mouth, gingiva, and palate. Men are twice as likely to have oral cancer, specifically men over the age of 40. Risk factors include smoking/tobacco use; heavy alcohol use; chronic irritation from rough teeth, dentures, or fillings; human papilloma virus infection; family history; excessive sun exposure; taking immunosuppressants that weaken the immune system; and poor oral hygiene. Oral cancer can present with a sore, lump, or ulcer in the mouth that initially is painless; however, as the cancer progresses it may evolve into a burning sensation or pain. The area may appear pale colored or it can be dark and discolored. Other symptoms include dysphagia (difficulty swallowing), odynophagia (painful swallowing), chewing problems, speech difficulties, lymphadenopathy (swollen lymph nodes), and weight loss. To diagnose oral cancer, your physician or dentist will examine your oral cavity and if a suspicious lesion is identified then an oral brush biopsy may be performed. The test is painless and involves isolating and analyzing a small sample of tissue for abnormal cells. However, if the lesion is more concerning then a scapel biopsy is recommended to determine whether the area is malignant or benign. X-rays and CT scans may be utilized to determine if the cancer has metastasized. Other tests that may be conducted include endoscopy, barium swallow, or PET scan. 90% of oral cancers are squamous cell carcinomas. Squamous cells are thin, flat cells that line the lips and oral cavity. Squamous cell carcinoma often develops in areas of leukoplakia, white patches of cells that do not rub off. Other types of oral cancer include adenocarcinoma, lymphoma, melanoma, or teratoma. 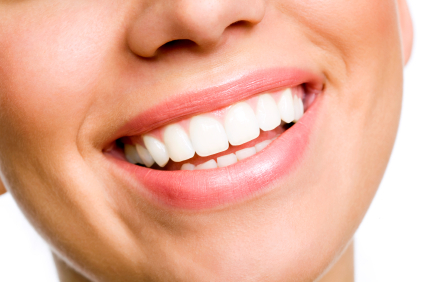 If oral cancer is not diagnosed early, it can be life threatening. Treatment is dependent on the stage of the cancer which is determines by tumor size, lymph node involvement, and metastatsis. Surgery is recommended if the tumor is small enough and has not spread to the lymph nodes. Complications of surgery include disfigurement of the face, head, and neck. Often surgery is combined with radiation. Complications of radiation include dry mouth and dysphagia. When dealing with larger tumors, chemotherapy is recommended. Speech therapy is also essential to improve and retain movement, chewing, swallowing, and speech. Depending on the presentation of the oral cancer, approximately 50% of individuals with oral cancer may survive greater than 5 years following diagnosis and treatment. If the cancer is identified early before significant metastasis, then the cure rate may be almost 90%; nevertheless, the majority of oral cancers have metastasized prior to diagnosis. One in four individuals with oral cancer will die due to delayed diagnosis and treatment. To prevent oral cancer, individuals should avoid smoking/tobacco, moderate or avoid alcohol use, and practice good oral hygiene. 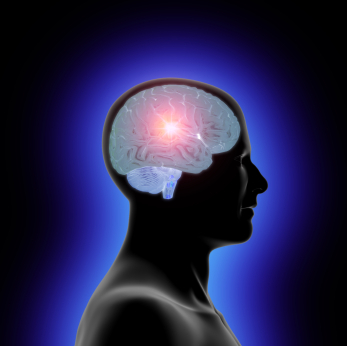 One of the first steps in evaluating brain injury is diagnostic imaging. Imaging refers to various methods of viewing the structures and processes residing in the brain. Some of the more familiar modalities are CT (or CAT) scans, which use X-rays to evaluate intracranial structures. MRI, Magnetic Resonance Imaging, uses magnetic fields to illustrate the brain. However, in cases of traumatic brain injury (TBI), more advanced methods may be needed for proper diagnosis. An MRI machine can use special software to perform a brain scan called Diffusion Tensor Imaging (DTI). This scan detects the diffusion of water across brain cells and highlights certain areas that may be associated with injury. These injuries may not be apparent on conventional MRI’s. PET scan (Positron Emission Tomography) measures uptake and metabolism of glucose from a small radioactive “tagged” sample injected into the patient. The scanner monitors this sample as the brain utilizes it. The metabolic uptake and usage may differ in patients who have suffered a brain injury. This helps define the extent and type of injury. In SPECT (Single Photon Emission Computed Tomography), the tagged sample is not absorbed or utilized in the brain cells. Instead, it remains in the blood stream and demonstrates the blood movement or perfusion through the brain. Areas of brain injury or damage may not have normal blood flow so the SPECT scan helps define these areas. 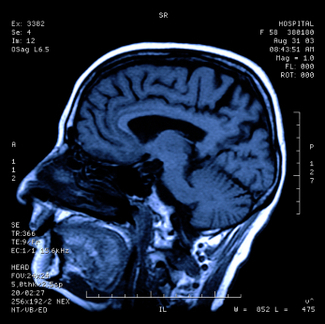 Brain injuries can result from medical malpractice. A baby may suffer birth trauma during labor and delivery. A child may have a concussion or sports injury misdiagnosed or improperly evaluated by a physician. An individual injured in a car accident may not have the indicated testing done by the emergency room. Although scientific progress in imaging studies has improved the ability to diagnose and evaluate brain injuries, these tests need to be utilized in the appropriate situations so patient results and outcomes can improve. Pulmonary embolism (PE) is a life threatening condition that affects over 600,000 people per year in the United States. Through the use of modern diagnostic tools such as multislice spiral CT and advancements in treatment, the mortality rate of PE has been reduced in recent years. PE involves a blockage of an artery in the lungs from a clot that has traveled through the bloodstream from another part of the body. Usually the clot begins in the deep veins of the legs where it is referred to as deep vein thrombosis or DVT. The risk of PE increases during periods of immobilization such as long plane flights, surgery, pregnancy, and with conditions such as cancer and obesity. Additionally, estrogen based hormonal contraception (birth control) may increase the risk of PE. Signs and symptoms of PE may include chest pain, shortness of breath, abnormal EKG (such as inverted T-waves), rapid heart rate, and increased respirations. PE may be preceded by leg pain due to DVT. A low grade fever may be present as well as a cough or hemoptysis (coughing up blood). If PE is suspected, a D-dimer blood test should be performed which measures the level of specific clotting related protein fragments in the blood. The D-dimer test can help rule out PE if the blood test comes back within normal limits. However, If the D-dimer blood test comes back elevated for suspected PE, then radiographic imaging is indicated. When available for imaging, the multi-slice spiral CT is favorable because it is non-invasive and is highly predictive of PE. If the patient has leg pain or other signs of DVT, then a ultrasound (doppler) of the veins in the legs may be performed as there is a high correlation between DVT and PE. But a negative leg doppler does not rule out PE. Other studies to help diagnose PE include include ventilation perfusion scanning and CTPA (CT Pulmonary Angiography-with contrast). Treatment for PE depends on the severity or size of the blockage. 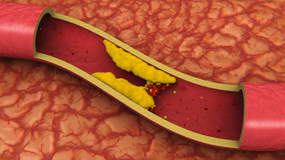 For severe cases that are emergent, thrombolysis may be the preferred treatment- this involves the administration of clot busting medication such as tPA. In specific situations of severe emergent PE, surgery (embolectomy) may be an option to remove the clot. In most cases of PE, anticoagulants such as heparin and warfarin are started early as possible and used to treat the condition. Heparin or LMWH (low molecular weight heparin) are typically given initially followed by warfarin. When indicated, an IVC filter may be placed in the patient to help prevent further clots from forming in the arteries of the lungs. The brain is responsible for higher motor and sensory functions. It requires a constant source of oxygen in order to continue its vital functions. When the flow of oxygen is interrupted, the consequences can be devastating. Severe injury can occur when the brain lacks the oxygen needed to continue functioning. A total lack of oxygen can be referred to as “anoxic” injury whereas a partial lack of flow can be referred to as “hypoxic” injury. Brain injury can occur in an unborn baby if the flow of oxygen from the mother’s circulation to the baby’s is interrupted. This can happen from a number of causes. For example, the placenta can become partially detached from the wall of the uterus (placental abruption), which can interrupt the flow of oxygen to the baby. This complication can arise in pregnant patients with untreated or inadequately treated high blood pressure. Close monitoring of mother and baby, along with timely delivery and/or C-Section when needed can prevent these complications. Excessive contractions of the uterus (sometimes called “uterine hyperstimulation” or “tetanic contractions”) from labor, or from medicines used to accelerate labor, like pitocin, can cause problems with the baby’s oxygen supply. The rapid, powerful contractions of the uterus can prevent maternal oxygen from reaching the baby. If the flow of oxygen to the baby is interrupted, hypoxic or anoxic brain injury can occur. The consequences of this can be severe and may include seizures, brain damage, developmental delay, cerebral palsy, and other problems with motor or cognitive functions. Use of medications like pitocin must be closely monitored by dosage and effect on the mother and baby. If contractions are too strong or too frequent, the dosage may need to be decreased, the medicine may need to be stopped entirely, or special medication to reverse the effects may be given. 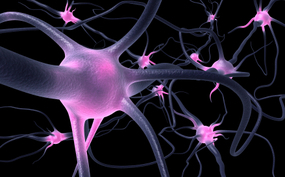 Brain injuries may occur in infants, children, and adults. Stroke, cardiac arrest, or choking can all interrupt the flow of oxygen to the brain. Patients who are undergoing surgery, or are in an intensive care unit in a hospital often have their oxygen levels monitored to be sure they are getting a sufficient supply. If they are not properly monitored or complications occur, hypoxic or anoxic brain injuries may result. Medical malpractice that results in brain injury is devastating for the victim as well as families and loved ones. The extent of disability from hypoxic or anoxic brain injury varies greatly, but many people require extensive care and rehabilitation to regain function and improve their quality of life.